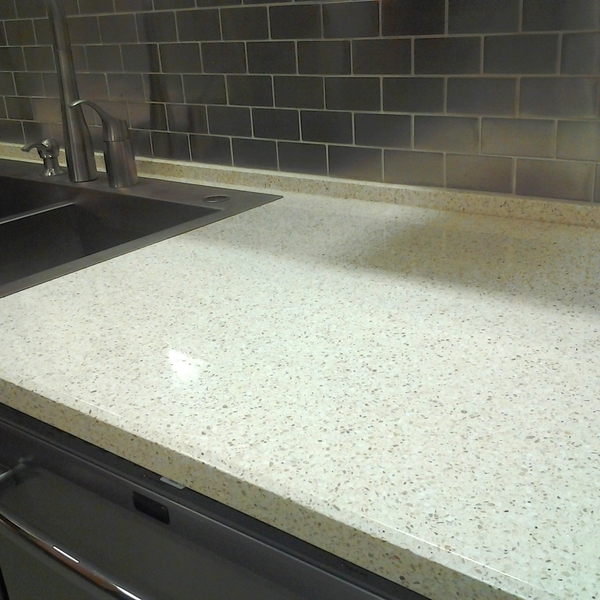 When renovating our kitchen we decided to use eco-friendly countertops which are made of recycled materials like glass, mirror, porcelain, and ash. Removal of the old countertops, backsplashes, screws, nails, etc did take a bit of time but was easy to do. Wall patching, new backsplash installation, etc was also relatively simple. 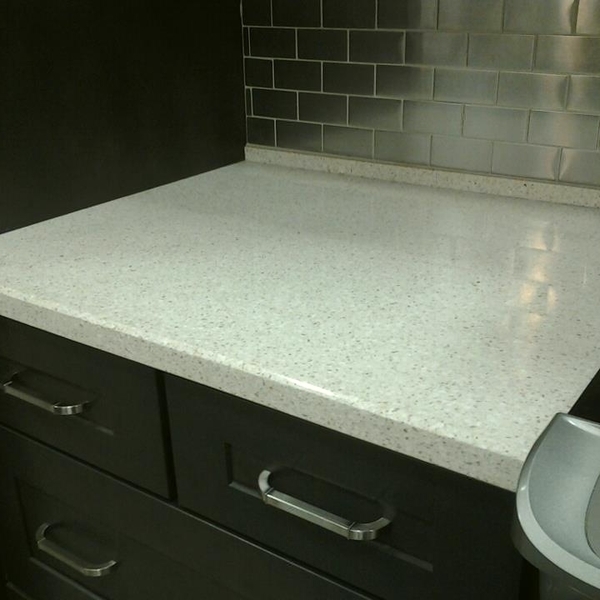 Only the brave install their own eco countertops or so we were told but if you take your time, the end result is beautiful. When renovating our kitchen we decided to use eco-friendly countertops which are made of recycled materials like glass, mirror, porcelain, and ash. Removal of the old countertops, backsplashes, screws, nails, etc did take a bit of time but was easy to do. Wall patching, new backsplash installation, etc was also relatively simple. Only the brave install their own eco countertops or so we were told but if you take your time, the end result is beautiful.